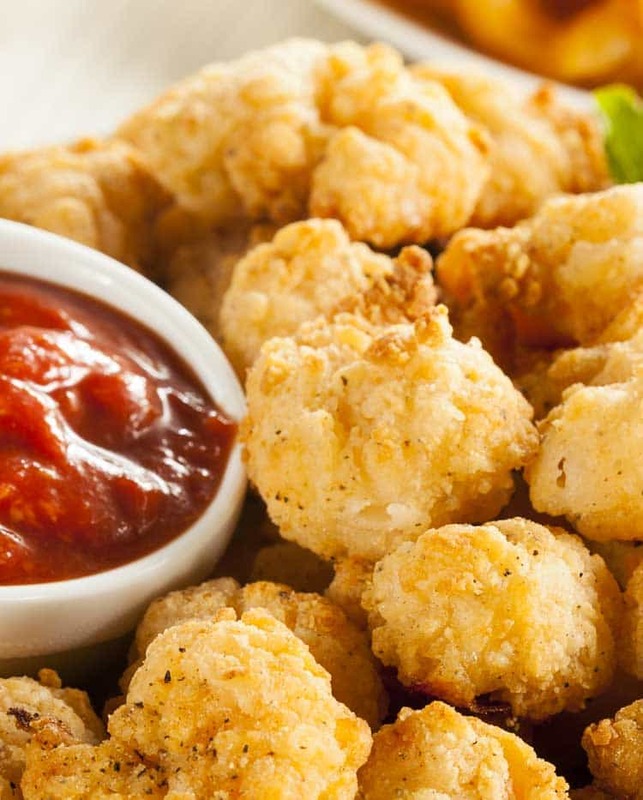 The secret to any good popcorn shrimp is in the batter. This recipe gets it right, with just a touch of sweetness to make your mouth water. The trick to perfectly cooked popcorn shrimp is making sure your oil is at the right temperature and keeping an eye on the shrimp as they are cooking, taking them out when they are golden brown. Get more amazing copycat recipes here. If you love eating out, you’ll love this copycat recipe. Eating out can get expensive, and lets face it, sometimes the recipes you love are from restaurants that aren’t close enough in proximity to go to on a regular basis. Bubba Gump’s restaurant is one of those restaurants for me. While my family really enjoys the restaurant, the closest location is a few hours away. With this Copycat Bubba Gump Popcorn Shrimp recipe, we’ve got a tasty recreation of a popular Bubba Gump’s recipe right here at home. Love Bubba Gump's Popcorn Shrimp? 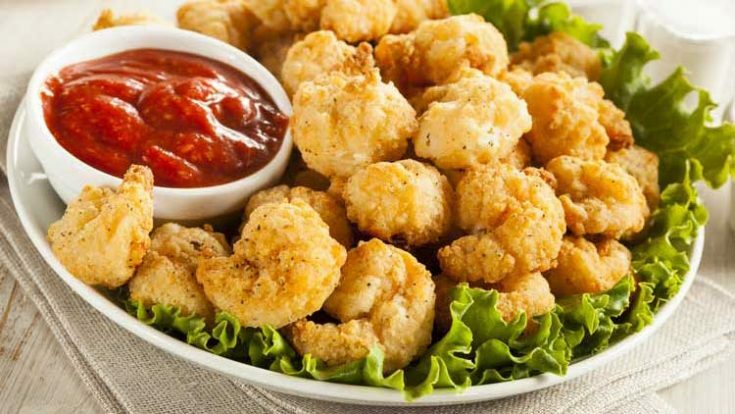 You have to try this Copycat Bubba Gump Popcorn Shrimp recipe. It is a perfect appetizer recipes. In a bowl, mix shrimp, sugar, salt, and 1/2 tsp of the Cajun seasoning. Cover and refrigerate for about 2 hours. Drain and cut pepperoncini in half lengthwise. Drain red pepper, cut into pieces. Heat a couple of inches of oil in a wide pot over medium high heat. In a large bowl, mix flour, corn starch, icing sugar, and remaining Cajun seasoning. Add pepperoncini, red pepper, and beer. Whisk into a smooth, creamy batter. Add shrimp to the batter, mix until well coated. Add shrimp, pepperoncini and red peppers to oil one at a time, remove excess batter before frying Fry. Cook in one layer only and avoid any too many shrimp or the oil will cool and the batter becomes lumpy and sticky. Fry until golden brown, about 3 minutes. Remove shrimp and peppers with a slotted spoon, drain on paper towel and season with salt. If you’re doing more than one batch, make the oil is fully heated before frying more food. Serve with tartar sauce, cocktail sauce or lemon. This popcorn shrimp sounds yummy! Pinning this. We are going to love your Bubba Gump Popcorn Shrimp, can’t wait! Thanks so much for sharing them with us at Full Plate Thursday and come back soon!